It was therefore appropriate that Puig miss the ceremony to welcome him and the hosts. Other former Dodgers who were involved in the trade that sent Puig to the Cincinnati Reds back in LA Dodgers manager Dave Roberts accompanied on Monday afternoon by owner Mark Walter, CEO Stan Kasten and the president of Basebal Operations Andrew Friedman in front of the visiting clubhouse. Matt Kemp, Alex Wood and Kyle Farmer got their new jewelery there and talked to each other. 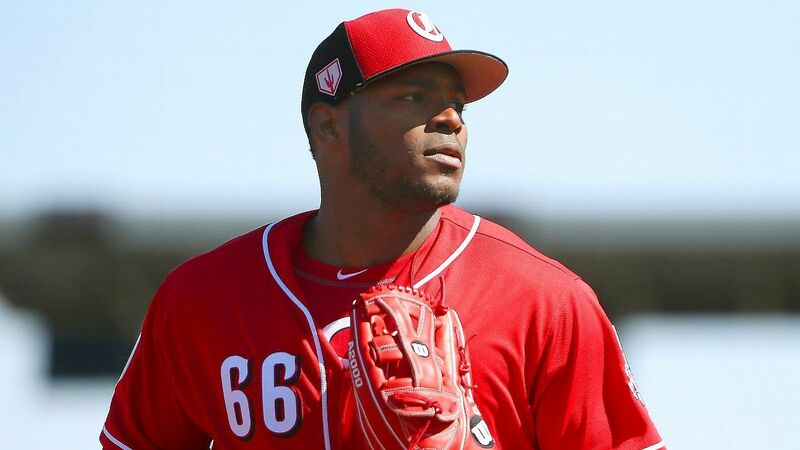 "This is one of the nicest things I have with my new team," Puig said in Spanish. "This support, being on the side of each other every day and talking in the locker room, on the bus, on the flight, in the field, off the field, we always have good communication, and I do not feel so much nostalgia "As you may think, I would feel for the Dodgers." After 40 minutes passed in a quiet interview room before Puig's press conference, Reds Vice President of Media Relations, Rob Butcher, turned to the podium to announce that Puig had not been yet arrive, pulling a giggle from the media contingent.